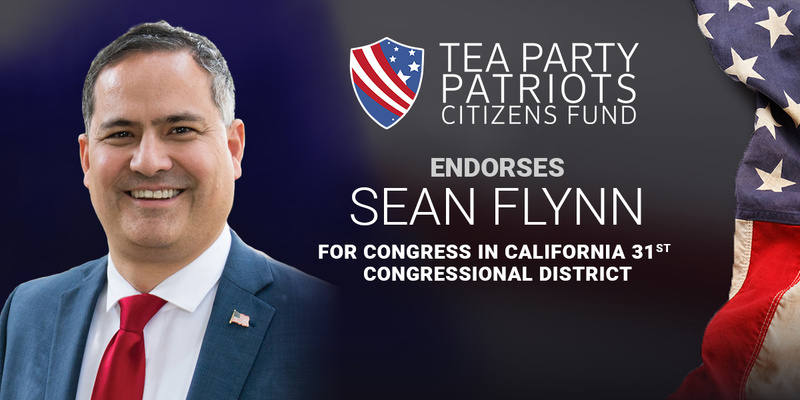 “Conservatives in California’s 31st congressional district have a clear choice in the contest for the Congress – Sean Flynn. “Sean is an educator and an entrepreneur – the author of Economics for Dummies and the co-author of the best-selling economics textbook in the world – and he understands the federal government cannot continue to spend money it does not have. He supports lower taxes and less government, and believes that empowering individuals and small businesses will be the key to economic growth in San Bernardino County and across the country. “Sean is a strong supporter of the 2nd Amendment. He believes we must reform our immigration system to secure the border and prioritize American needs when it comes to choosing which immigrants we allow to join us. And he believes we must reform our healthcare system to allow for more consumer choice. Tea Party Patriots Citizens Fund is committed to equipping grassroots activists at the state and local level with the tools and resources needed to hold elected officials and government accountable and elect new and qualified candidates. For more information, visit http://www.teapartypatriots.org.